I don’t know about you but I’m sucker for all things retro and the more authentic the better. Seeing your kids play with the very toys you grew up with is like a moment in time where life comes full circle, nostalgia reigns and the happy days of old get reinstated. 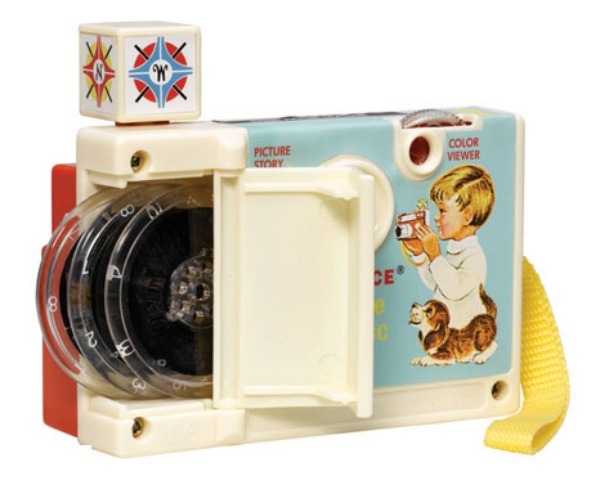 The Changeable Picture Disc Camera was originally introduced by Fisher-Price in 1968 and this retro remake is almost an exact replica of the original with a few minor differences. The original had a vinyl strap whereas the remake has a fabric one and the original came with two extra discs – a visit to the city and a second nursery rhymes disc. The Fisher-Price Classics Changeable Picture Disc Camera has a rotating flash cube, wrist strap and three changeable picture discs. Insert either the animals and their babies, Goldilocks and the Three Bears, or the nursery rhymes disc into the slot at the top to view eight colourful vintage images through the peep hole. By turning the colour viewer disc on top, you can change the image from a red tint to a yellow, blue or clear tint. When you press the button, the disc rotates and you get to see the next picture. The three discs can be stored in a special compartment that opens up on the side of the camera. 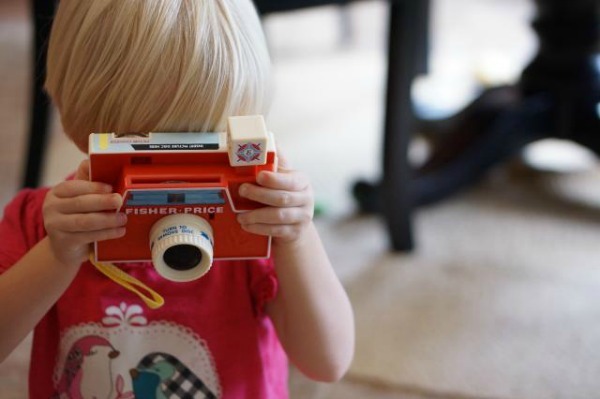 Kids aged two and up can entertain themselves for hours and have fun developing their photography skills with this pretend camera. It measures 9cm high x 12.5cm wide x 7.5cm deep and is made from plastic. 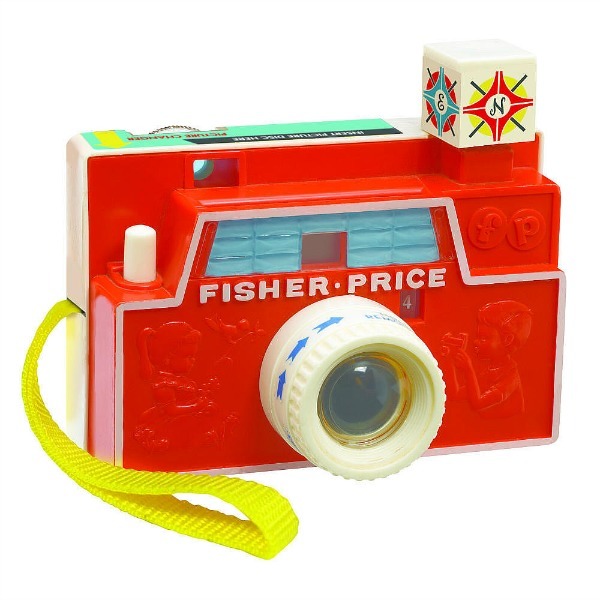 Currently a hot commodity, get in quickly to buy a Fisher-Price Classics Changeable Picture Disc Camera for your own child. Fishpond has them for $33 including free shipping.